The Gobbler Grind could use your help! 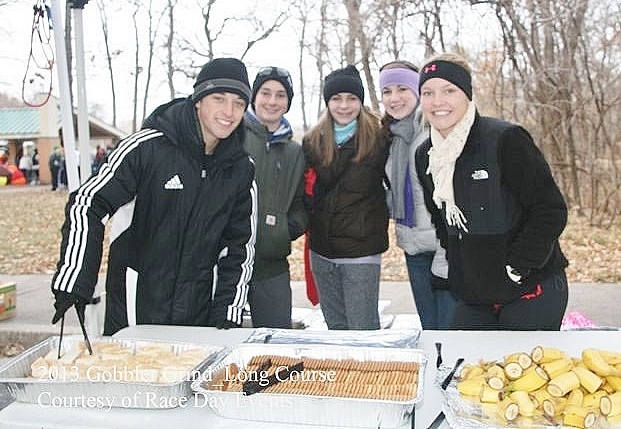 The Gobbler Grind would not be possible without the help of over 100 volunteers! Not only do volunteers make a difference by filling numerous race needs, but their presence alone gives a tremendous boost to the runners they are serving. There aren’t many things that are more rewarding than watching someone achieve physical goals in running and knowing that you helped them get to the finish line. Volunteers who sign up two weeks prior to race day receive a race shirt and race amenities.